Good afternoon everyone. Thanks for stopping by today. Here is a card that I made using Nate's ABC's. I cut the image at 3.5 put all the layers together and used some glossy accents on the water just to make it look kinda wet. I used some sugar n cream twist that I found in the yarn section of Michael's because I thought it kind of looks like twine. I then stamped and embossed the sentiment. Put some cute chrome pearls on it and voila here is the finished product. Thanks for stopping by today. 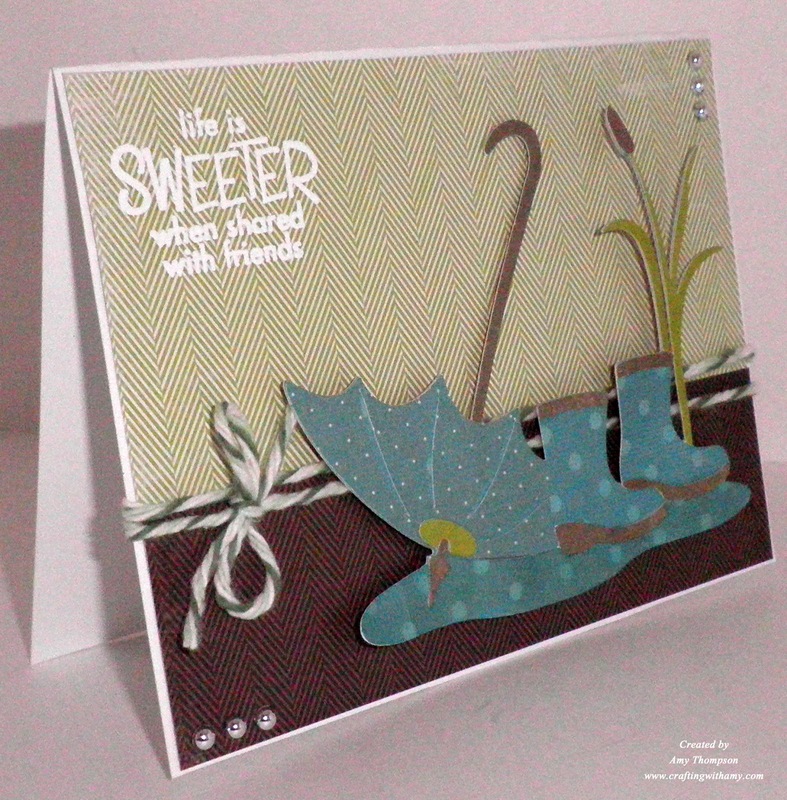 I hope you liked this April showers card. Please check out this weeks challenge over at FCCB. 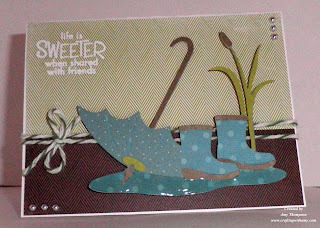 Would love if you linked your card to http://www.cutitupchallenges.blogspot.com/The challenge is "wet"
Ditto on what I said earlier..
What an adorable scene - love those boots and the cattail! 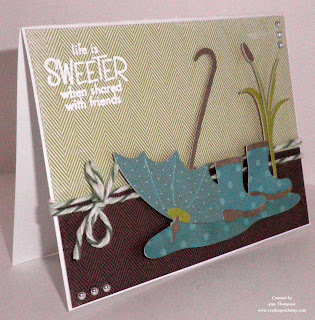 This is darling Amy, great colors and pattern paper choices!! Super cute cuts and love the papers! Great minds think alike! Even with glossy accents! LOL! What a pretty card! Those wellies are adorable! Thanks for crafting with us at Cut it up! Fab card! Love the design and the colors. It's a work of art. I would frame this card. ;) Thanks for playing along at Cut It Up Challenges! Super card! The colors are great and the glossy accents on the water is a great touch! this is just great and I love the shape of your card! Great JOB!